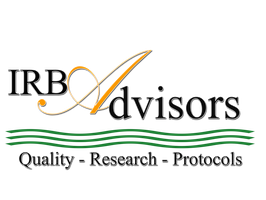 Crowd Funding - IRB Advisors, Inc.
As scientists prepare traditional funding proposals the growing alternative of “Crowd funding” must be considered. Sites such as, Consano, Experiment, USEED, Petridish, RocketHub and Fundly. Microryza, Indiegogo, Thinkable, LabCures, SciFund Challenge, and Walacea are closing the gap for small, time-constricted projects. The European Crowd Funding Network has established its own special “Science Work Group” and the workshop will outline the key platforms and their different foci. American research institutions are quickly adopting many of the European standards of public benefit in their pursuit of crowd funding initiatives. Public benefit is a strict component of awards in the EU and crowd funding is a predictable expression of that tradition. The following provides a simple overview of crowd funding procedures. 1. Before launching a proposal the institution must decide on which platform to showcase projects. a. The terms and conditions of each platform vary greatly so please educate the respective parties with the respective rules surrounding percentages that the platforms retain (0%- 12%), reporting requirements and policies surrounding an unfulfilled monetary goal. b. The companies that handle the actual financial transactions also charge a percentage (usually 1 – 4%) to handle the funds. Please be mindful of these additional charges when allocating a project budget. a. Should all funding pass via the University rather than directly to the Primary Investigator? b. Should an overhead charge (Finance & Administration) be applied? c. Does institutional involvement create valuable endorsement and what are the liabilities and risks, including ethical matters? d. Who controls the project marketing and campaigning? e. Will there be an Agreement of Terms and Conditions including Intellectual Property? f. How will expectations for reporting be managed? 3. When the researcher submits a description of a specific research project to the designated department which includes a funding target, the budget which the researcher includes for his/her funding target must support the project to completion. (Please remember to factor in the expense of the giveaways and decide who will manage the rewards to sponsors and the progress reports). 4. The proposal is submitted to the crowd funding platform and then circulated via the agreed upon media campaign (Twitter, Facebook, Instagram etc.) The public responds by contributing funds and hopefully spreads news of the project to their networks. 5. Depending on which platform the institution choses, the money will be released to the project via third party payers after the project reaches its goal. Some platforms will still release funds even if the goal is only partially met. Cynthia Bellas is Chief Strategic Officer for IRB Advisors, Inc. She is an expert in eRA systems, Crowd Funding for Research and Process Improvement. Cynthia speaks globally on research administration topics of Ethics, Process Improvement, and Crowd Funding for NCURA, SRA, ARMS and ARMA. She held the position of Manager of the Office of Sponsored Research at Seattle Children’s Research Institute. While at SCRI, she led her team through the Continuous Process Improvement conversion. Prior to her work with Seattle Children’s Research Institute, Cynthia was the Chief Grants Officer at Anthem Grants and Advocacy in Seattle. She along with Former Secretary of the State of Washington Ralph Munro (1981-2001) worked at Anthem to provide their clients with cost effective contract services designed to secure critical Federal, State and Foundation funding in support of their institutional missions. Cynthia serves on the Kitsap Humane Society Board. She is a graduate of Bryn Mawr College, the University of Pennsylvania, and the prestigious Barnes Foundation. Ms. Bellas enthusiastically revels living on Bainbridge Island WA, with her family and enjoys hiking, birding, gardening, and athletic training. Please follow her on Twitter @c1bellas.